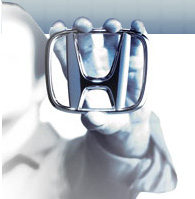 Beginning with the 2015 model year, all new Honda vehicles will be covered by a 24-hour roadside assistance program during the new vehicle warranty period. Some of the features of this program include lockout service, fuel delivery, towing, assistance for alternate transportation, hotel reservations and reimbursement for trip interruption. If you experience a problem while on the road, simply call the toll free number anytime at 1-866-864-5211. To learn more about the roadside assistance program, view the following PDF made available by American Honda Motor Company.